Helicopters is a series of automated rotating instruments that function as rotating amplified mechanical sequencers. 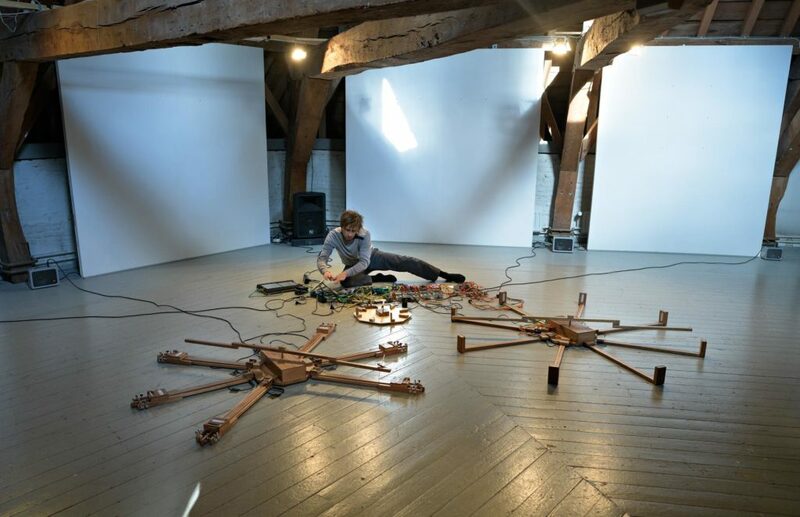 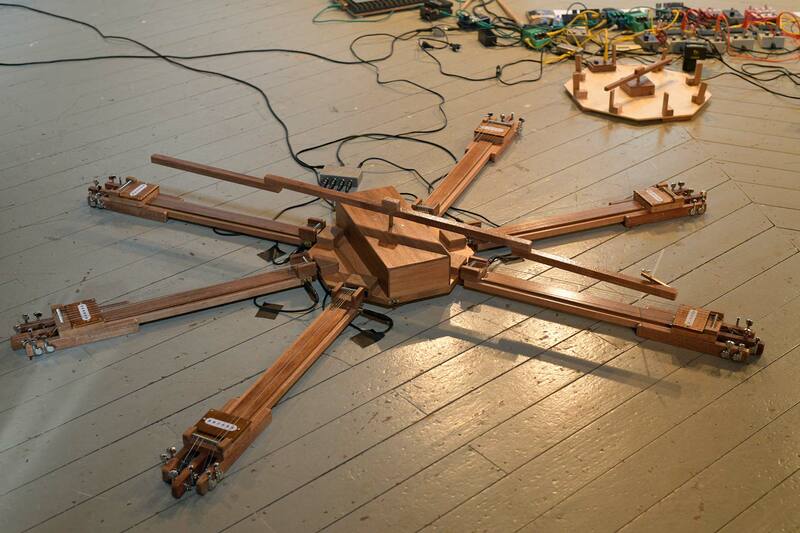 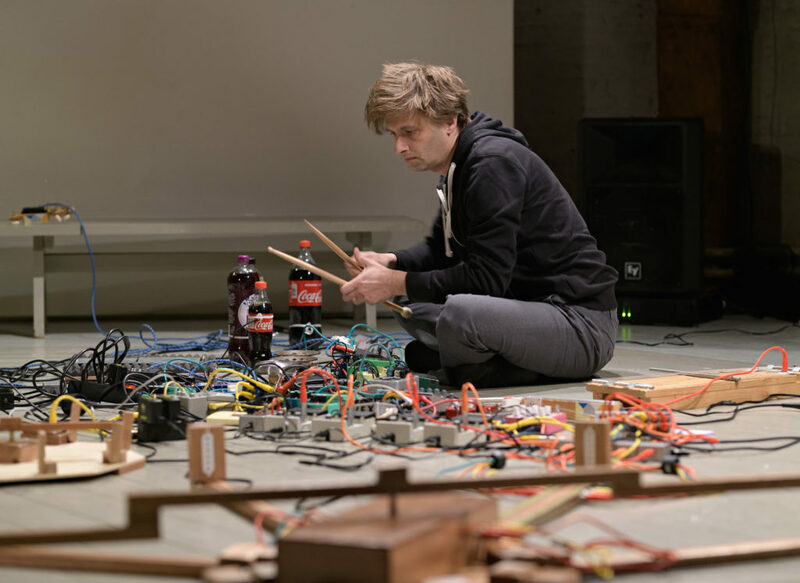 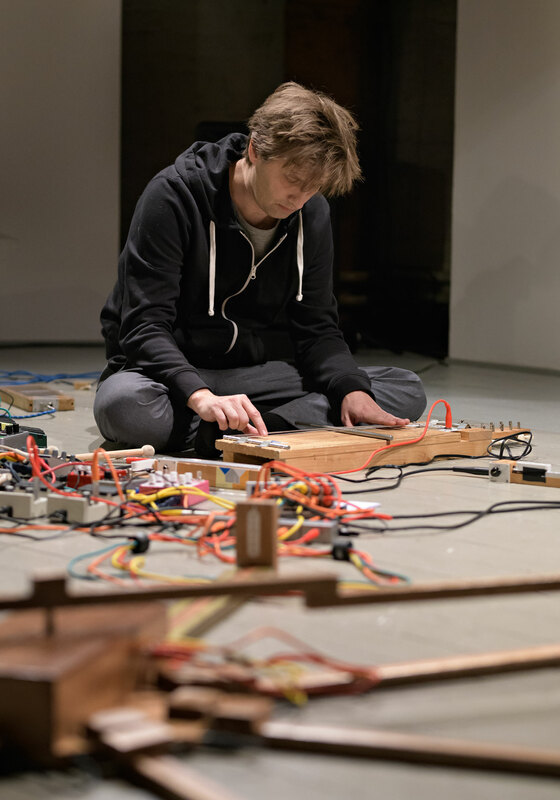 These automated instruments are built using guitar elements and alternative tuning systems. 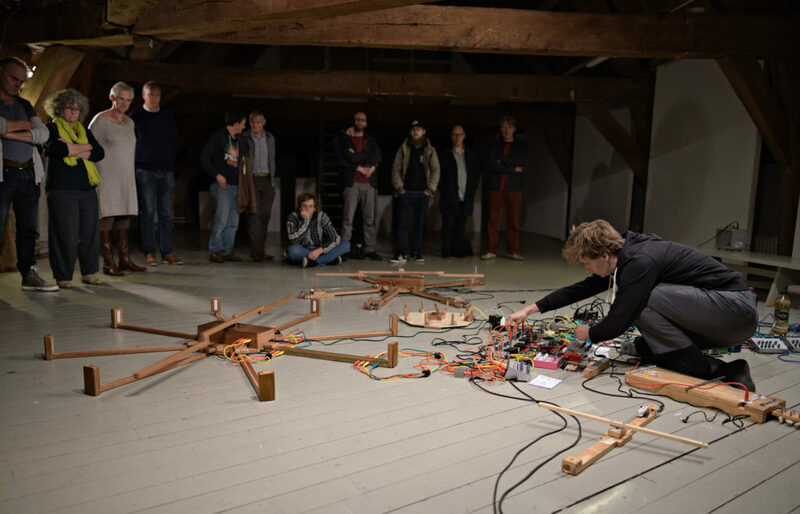 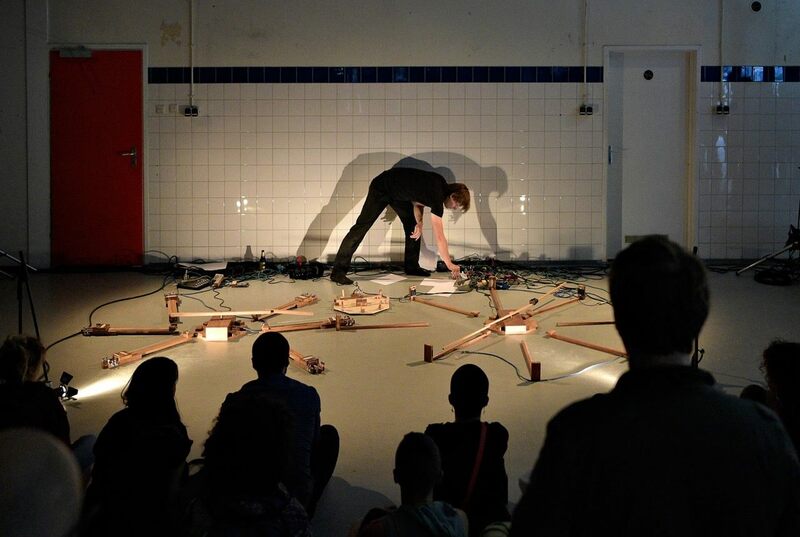 The resulting sounds are processed through guitar pedals, creating rhythmic layers of both acoustic and synthesized sounds.